Testing new beauty products is always a treat for us, but when something especially sparkly comes across our desks, it makes an otherwise gloomy Monday feel a whole lot brighter. Cult-favorite brand Rituel de Fille has always been known for its gorgeous, natural makeup, and now the three founding sisters have kicked it up a notch with their new Metamorphic Highlighter. 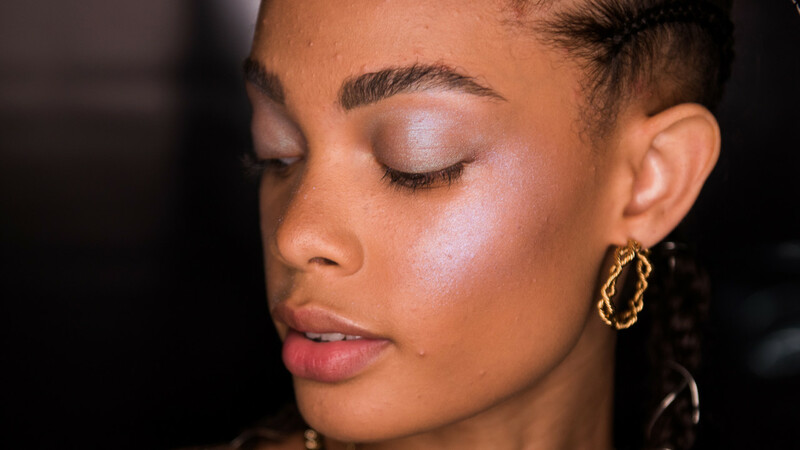 As soon as we opened each of the four shades—Enchantress, an opalescent aqua; The High Priestess, a cool lilac; Siren, a blush gold; and Sorcerer, an icy champagne—we could already tell this wasn’t your ordinary highlighter. The creamy formula melts into the skin on contact, promising an “unearthly luminosity like an alien inner light,” as well as a “dream-like glow, buildable to hallucinatory radiance.” They also have significantly more shimmer than Rituel’s original Rare Light Luminizer, without coming across as too sparkly or youthful (meaning there’s also no glitter fallout). After we swept a few layers across our cheekbones and browbones (we like using our fingers to warm up the product in the compact), we giddily realized that with each movement of our heads, the color changed, reflecting a rainbow of different tones. Hours later, the glow was still there, proving that the use of natural makeup doesn’t have to mean sacrificing quality. And if these highlighters bring us closer to our extraterrestrial-goddess inner selves, then they’re pretty much perfect. Metamorphic Highlighter launches April 19 exclusively on ritueldeille.com for $32 each. We know how we’ll be spending our tax return.